A new smartwatch has been created called the Kreyos Meteor which has been designed to provide users with both voice and gesture controls that will allow you to use functions on your smartphone. 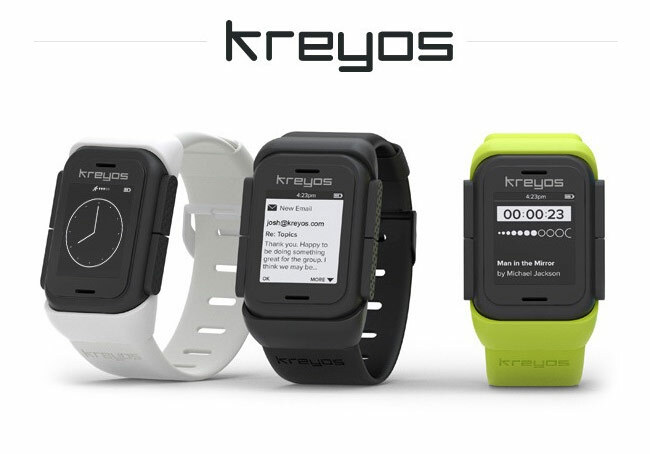 The Kreyos Meteor claims to be the very first smartwatch cable of providing voice and gesture controls and provides hands-free, two-way communication from your wrist to your smartphone. Watch the video presentation after the jump to learn more about the new Kreyos Meteor smartwatch and see it in action. The Kreyos Meteor is currently over on the website looking to raise enough funds to make the jump from concept design to protection enabling early adopters to benefit from the new voice and gesture control system. So if you think you could use the new Kreyos Meteor smartwatch jump over to the Indiegogo website to make a pledge.